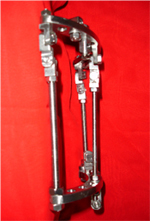 The treatment of knee contractor with or without axial deviation of the femur or tibia can be performed by special external hinge distraction system. In a first Step the contracture is treated by distraction of the knee joint and soft tissue tendon re1ease if needed, Special hinged adapted to the biomechanical axis of the knee a1Iow a sliding movement of the knee joint. 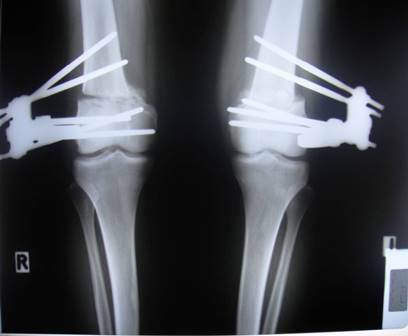 In the second step the axial correction is done by osteotomy and gradual correction and lengthening. 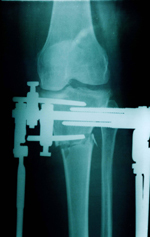 Recently a simple hinges was modified for treatment of angular deformities and gonarthroses of the knee .important for treatment of knee osteoarthritis with medial or lateral impediments. 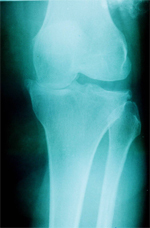 This is a case of severe medial osteoarthritis in a women 55 yrs old Angulations’ translation is very important in order to achieve alignment between femur and tibia , we can see how improvement of medial joint space. 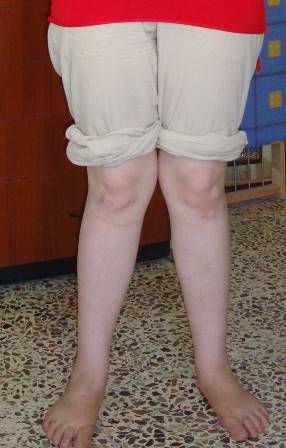 Ability to stand with full weight bearing and bending the knee flexibly .Second day after correction. 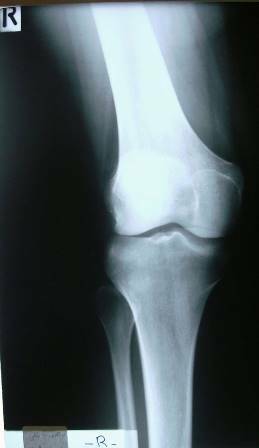 Treatment of severe knee contracture after arthrogriposes ,was performed with a special hinges with a gradual correction of knee contracture. In a boy 5 yrs old.